Following on from the earlier news that T-Mobile would finally be carrying the iPhone as of early next month, the carrier has also revealed that Samsung’s Galaxy S4 would be available in early May. CEO John Legere stated at the company’s "UnCarrier" conference that the device will arrive "about May 1st," which means, providing no major hitches arise, consumers will only have to wait around five weeks to get their hands on Samsung’s latest and greatest smartphone effort. T-Mobile is the United States’ fourth largest carrier, and having finally taken the wraps off its 4G LTE network, is ready to mix it with the big boys. Currently, those in search of a high-end flagship device on an LTE network have had to select from Verizon, AT&T, and Sprint, but with T-Mobile looking to shake things up as part of its UnCarrier branding / movement, there will soon be four options on the table. Given how big a release the Galaxy S4 is in the smartphone calendar, I wouldn’t be surprised if that May 1st launch date is not met. But at least we’ve a ballpark date, and those looking to upgrade to one of the latest handsets can begin making plans. Samsung launched the Galaxy S4 in a prime time ceremony earlier this month, and the device will go head-to-head with the HTC One along with, of course, the iPhone 5. The Apple handset is expected to arrive on T-Mobile a couple of weeks earlier than the latest Galaxy, but with the Korean device having the obvious advantage of being the newer and more powerful option, it will be interesting to see which takes the fancy of consumers. Those having waited for T-Mobile to get its act together and start carrying 4G handsets have every reason to be rather excited. 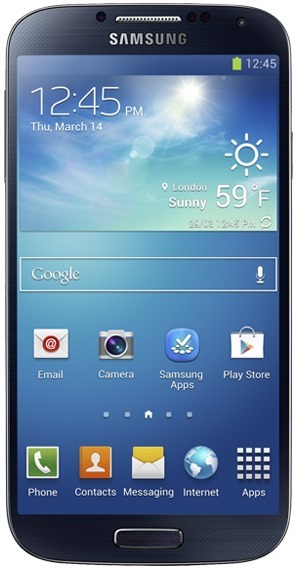 Although it’s unknown whether the Galaxy S4 will enjoy the very tempting price structure offered with the iPhone 5, don’t be surprised to see the company pull out all the stops to entice those hordes of consumers away from the major carriers. We’ll be sure to keep you guys updated on any further information regarding T-Mobile and the Galaxy S4, so stay tuned to our coverage here at Redmond Pie! Here’s an interesting question before we wrap things up; would you wait for the iPhone 5 to launch on T-Mobile, or you’d rather pass and wait for the Galaxy S4?